Over Spring Break, we were blessed to get to vacation in Belize. On our last day of vacation, we took a catamaran to Caye Caulker. 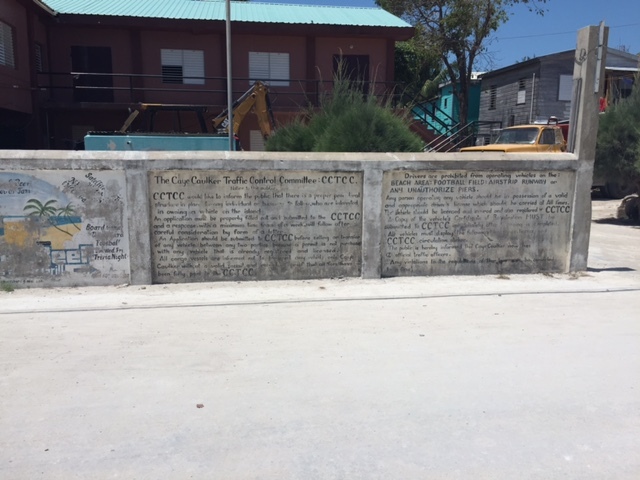 While walking through the village, we noticed the island’s traffic laws posted on the wall. While Title 55 of the Tennessee Code dealing with motor and other vehicles has 53 Chapters, Caye Caulker on the other hand has a very limited set of regulations. Beyond requiring a license, registration and insurance, drivers are prohibited from driving on the airstrip runway, the beach, the football field and any unauthorized piers. The Tennessee Legislature might take a tip or two on brevity from the Caye Caulker Traffic Control Committee. First, their speed limit signs are merely suggestions. We learned this on the day we went to visit the Mayan ruins and cave tube. Our driver was racing to the airport so that we could catch our flight from the mainland back to Ambergris Caye. I noticed he was well over the speed limit and did not even tap his breaks as we passed a police car sitting on the side of the road. When I asked him, he promptly informed me that speed limit signs were only suggestions in Belize, and he was not joking. While there were not any speed traps in Belize, in just one week, we were pulled over twice at checkpoints in which the police were confirming the driver was licensed and the vehicle was registered and insured. If this type of checkpoint was more common in Tennessee, it might help limit the number of uninsured drivers on our roadway. Second, on Ambergris Caye, pedestrians, bicyclists, mopeds, small motorcycles, golf carts and motor vehicles all share the roadway. Despite it all seeming somewhat chaotic at times, we never saw any accidents or even any near misses (unless you count John bumping another golf cart at the bridge toll booth and being reprimanded by a police officer). Another thing we did not see: any drivers talking on their phones or texting and driving. I feel sure there is a corollary there. Third, you will not find a single traffic light in Belize. Anywhere. And believe it or not, this might be the future of travel in this country too (as hard as that is to believe if you regularly drive in places like Hillsboro Road in Green Hills, Maryland Farms in Brentwood or Cool Springs Boulevard in Franklin). As vehicle to vehicle communications increase and improve, some experts are predicting the death of the traffic light. Instead, vehicles would simply communicate with one another to negotiate intersections with increased traffic flow and efficiency. For instance, if two vehicles were set to approach an intersection at the same time, one of the vehicles would slow so it would arrive exactly when a slot was open. This is often referred to as the “slower is faster” model or effect. At The Law Offices of John Day, P.C., we love to travel and we love to help folks who have been injured in car accidents. If you would like to have a free, no-obligation, private consultation with one of our award-winning attorneys, just give us a call at 615-742-4880 or 615-867-9900 or toll-free at 866-812-8787. We will be glad to review your case with you, answer your questions and advise you of your legal rights. 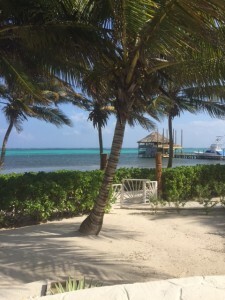 And, if you want, we will even show you our Belize pictures. We handle all accident cases on a contingency basis.